Gerald O'Collins, SJ, is an adjunct professor at Australian Catholic University and a research fellow at the University of Divinity in Melbourne. He taught at the Gregorian University in Rome for thirty-three years and is well known as a lecturer and broadcaster around the world. Fr. O'Collins has had hundreds of articles published in professional and popular journals and authored or co-authored sixty-seven books, including The Second Vatican Council: Message and Meaning (Liturgical Press, 2014). John Wilkins edited the London-based international Catholic weekly The Tablet from 1982 until his retirement in 2003. "At last we have a comprehensive treatment of the sad history of the Vatican's dismantling of ICEL's efforts at providing us with translations that are both elegant and communicative. My favorite line: `Before I die, I would be delighted to celebrate once again the Eucharist in my native language.' This book provides trenchant criticism of the current translation of the Roman Missal and wonderful observations on the 1998 `Missal that wasn't.' As in so many areas of contemporary theology, we are once again in O'Collins's debt." "Here is a required book for any class in contemporary Roman Catholic eucharistic liturgy today. O'Collins narrates the rise and fall of the 1998 ICEL translation of the Roman Missal and its replacement by the 2010 `translation.' Together with ample references to the best in contemporary liturgical scholarship and official documents-including Comme le prevoit and Liturgiam authenticam-O'Collins calls for the end of the 2010 text with its impossible syntax and forced `sacral language' in favor of an official recognition of the 1998 text. With serious ecumenical implications as well (especially with regard to what were common texts of the Kyrie, Gloria, Creed, Sanctus, and Agnus Dei), this book needs to be read by all in light of Pope Francis's call for a reevaluation of Liturgiam authenticam. May O'Collins's hope be realized and may the 2010 text become but a footnote in the history of the Roman Rite." 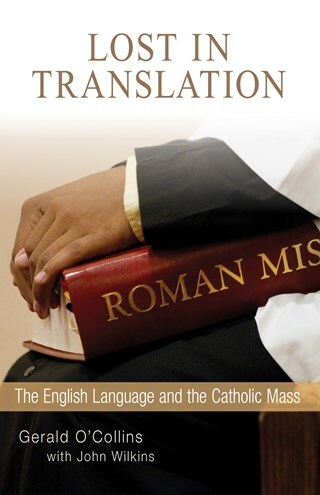 "This is a well-reasoned, concise argument for a truly vernacular translation of the Roman Missal. The argument is based on principles as old as those proposed by St. Jerome and on recent ecclesiastical history from the Second Vatican Council to the most recent translation of the Roman Missal into English." "This text is enlightening and sheds a bright light on governance struggles within the universal Church, both sides claiming to know what is best for the faithful." "This short but impressively researched book opens with Wilkins's page-turning account of how we got from Vatican II's Sacrosanctum Concilium and the call for translations that facilitate `full active participation' the 2010 English translation. As O'Collins painstakingly notes throughout the book, major contradictions exist between what the CDW and Vox Clara claim to have accomplished as set out in the directives of Litugiam Authenticam and the translation as it exists. It isn't too late to reclaim liturgical language that is more prayerful, understandable and theologically sound." "This book should be required reading for bishops and for any serious student of the liturgy. We owe a great debt to both O'Collins and Wilkins for setting the record straight—and for holding out the possibility that one day, by returning to the 1998 translation, we might pray in English." "Authoritative, well detailed, and searingly honest, this account of the recent history of Vatican translation policy and its devastating effect on the current English version of the Roman Missal needs to be read by any liturgy scholar, teacher, or presider who uses these texts or, indeed, tries to explain them. O'Collins and Wilkins bring a wealth of experience and insight into the story of the process, the high quality of the 1998 material, and the most evident problems and contradictions in the texts that English-speaking Catholics hear and repeat every Sunday. "The timing of this publication, as it happens, could not have been better. The role of the bishops in taking primary responsibility for the liturgical texts authorized for use in their own countries and linguistic communities is now consistent with that envisioned at Vatican II. New reasons for hope for a truly vernacular and participative liturgy."